Inducted into the The British Blues Awards "Hall of Fame" As "Young Artist of the Year 2014, 2015 & 2016"
Laurence is often labelled as "the future of the blues." He's won several major awards and accolades, and has sold over 50,000 albums across four albums. 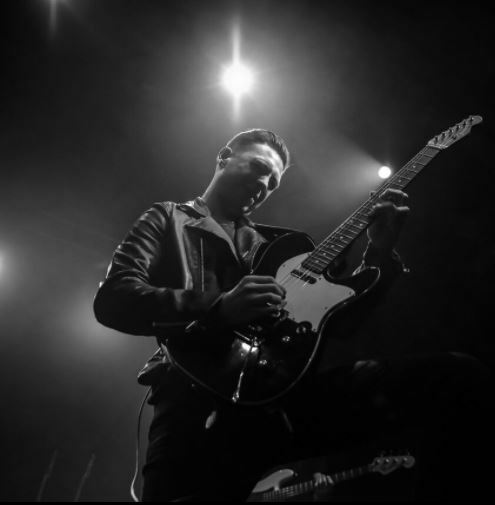 He's supported the likes of Status Quo, Gary Clark Jr, Kenny Wayne Shepherd, James Bay, Van Morrison, Buddy Guy, Robert Cray, Joe Bonamassa, Jools Holland, Eric Burdon, and many more. Hailed as "one to watch" by all corners of the music industry, including press, concert and festival booking agents, blues fans and various musicians. Over the past five years, Laurence has really come into his own, and with his new album The Truth, he has now developing his own creative skin by writing and performing songs that are distinctive to his unique sound and identity. To dovetail with the release of his new album The Truth, Laurence started a nationwide tour at London's Borderline on Tuesday 23rd January and will be landing in the Isle of Man to headline the opening night of the Big Wheel Blues Festival. Hailing from Detroit Michigan Marcus initially was coveted by Motown records - working on demos with some of the biggest names in the business -before being moved to LA by Ike Turner's management team and signing with United Artists Records. The result was the all star hard-rock 'Marcus' album, which is still on the catalogue today and re released by Rock Candy Records in December 2016. Growing up in Detroit meant he was always open to musical diversity. He hung out with the MC5, opened for Bob Seger and Iggy Pop, but it was his passion for rocking blues that led him to Europe. He quickly made an impact by opening for BB King at the Albert Hall and he hit the Euro festival circuit in support of a brace of British label rock/blues solo albums. Ironically for an exiled American musician, it led to one of his songs appearing on the celebrated 'Blueprint - Best of British Blues' album. 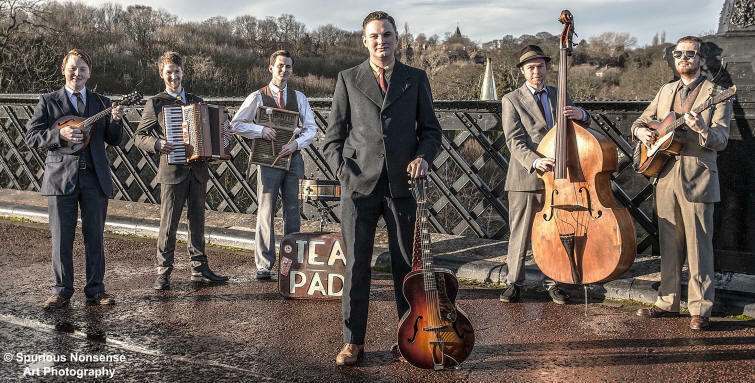 Second on the Saturday bill are Rob Heron and the Teapad Orchestra, a six-piece acoustic band featuring guitar, mandolin, accordion, double bass and drums. With thousands of touring miles under their belts, they have earned themselves a sizeable fan base in the UK, Europe and beyond. 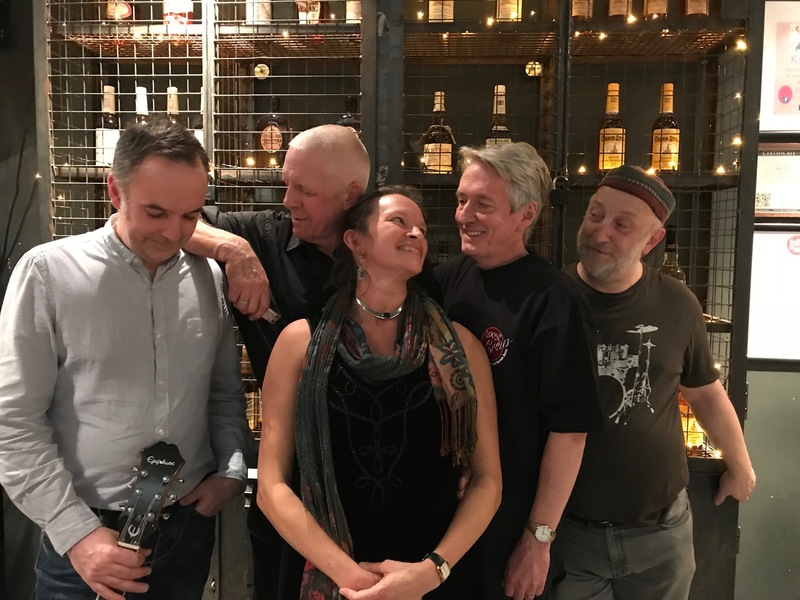 Based in Newcastle Upon Tyne, they play their own brand of Western Swing, Blues, Gypsy Jazz and Country, or “North Eastern Swing” as they've coined it. Their style is more eclectic than most, influenced by early 20th century American music, with the addition of great arrangements and original songs; their music harks back to a golden age whilst staying perfectly modern. The six-piece band features guitar, mandolin, accordion, double bass and drums.  Their debut album, ‘Money Isn't Everything’, caused a sensation when it was released in 2012, winning a host of rave reviews – many of them 5-star. Loose Crew are a local five piece band, playing a mix of swing, jump jive boogie and modern blues classics from the 1920s onwards. Up front is livewire vocalist Kate Davies, at home singing anything from the tongue in cheek risqué blues of Julia Lee, through Louie Prima to Nina Simone's electrifying Do I Move You, and Kate certainly has the moves. Kate's partner Tim Davies is the band's master of the blues harp, and Sharp Dressed Man. Whether evoking a lonesome train whistle, being a one man horn section, or blowing the lead breaks, no tone is beyond him. The rhythm section consists of Danny Kneale on drums and Pete Christian on double bass. As well as being an immovable rock solid backing to the band, Dan's drumming and percussion is pretty unique, as his well thought out, occasionally slightly scary, excursions round the kit become an integral part of the song, as well as its backbone. With a background playing various flavours of swing, and long-time member of the monthly blues club house band, Pete may have only four strings to contend with. However they are very very long ones, and at some point during the set he'll be playing most, if not all, of them. Completing the band, Martyn "I've Got a Wah Wah Pedal and I'm Not Afraid to Use It" Thomas. Maestro of the semi acoustic, Martyn becomes one with his Gibson and Epiphone. He has an inimitable rhythmic style, and even he is surprised at where his blistering solo flights sometimes end up. 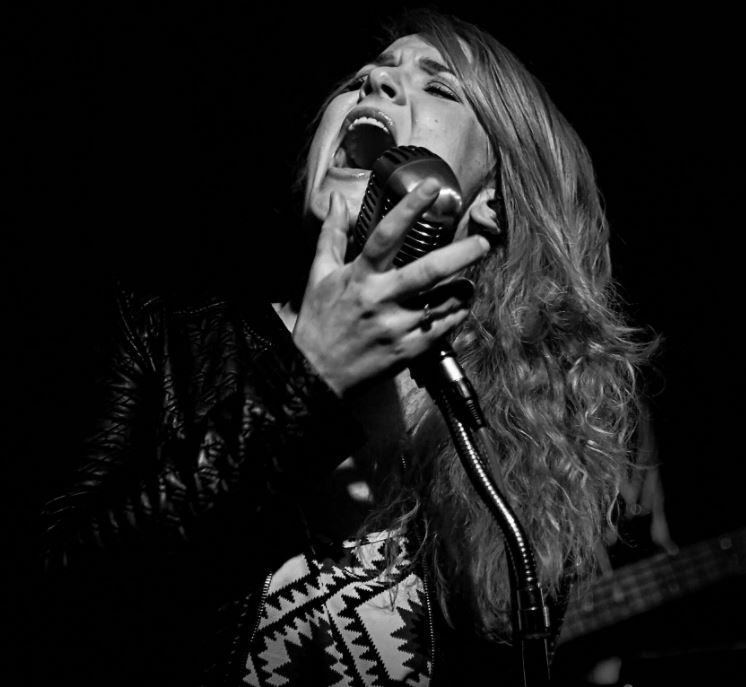 Elles Bailey has a talent for crafting and seamlessly weaving rootsy blues, country, and soulful rock, with a contemporary edge. What's more fate has blessed her with a 'smoky vocal' style that perfectly fits her music, after a stint in hospital as a child changed her voice forever. Her debut album Wildfire (Sept 1st 2017) which debuted at no.2 in the iTunes blues Charts was tracked in Blackbird studios Tennessee. Produced by Brad Nowell 'Wildfire' assembled a host of Nashville's finest, including Grammy Award winning guitarist Brent Mason and three-time 'Musician Hall Of Famer' Bobby Wood. Blended together back in the UK with the likes of Jonny Henderson (Robyn Ford, Matt Schofield) on Hammond organ and Joe Wilkins on blistering guitar, the result is a unique trans-Atlantic coming together of styles. Dale Storr’s musical journey has taken him from his rural Lincolnshire upbringing to his own musical mecca, New Orleans. Dale’s early musical interests were inspired by his parents’ record collection of early rock’n'roll and country music. His interest grew deeper when he began playing the piano at the age of six cocking an ear to the piano-based music of Little Richard, Jerry Lee Lewis and Fats Domino. The slip-note piano of stylist Floyd Cramer was also another influence that had entered Dale’s musical sub-consciousness. As a young boy, his emerging talent led to him winning numerous school and county music competitions as a solo instrumentalist. He also started performing live in local venues at the age of ten, playing organ. His ability eventually took him away from home to the city of Sheffield. Here he performed with a series of local bands most notably, Sheffield’s own rock’n'blues legend, Frank White. Other performers who benefit or have subsequently benefited from having Dale play alongside them are acclaimed British blues exponents, Alan Nimmo (the Nimmo Brothers) and Kevin Thorpe, 60′s icon Dave Berry, American soul star Earl Thomas, Texas guitar legend Rocky Athas (Black Oak Arkansas), and US R&B giant Eugene ‘Hideaway’ Bridges, supporting along the way, the likes of Duke Robillard and highly acclaimed New Orleans pianist Henry Butler to name but a few. The evocative music of New Orleans became a passion for the young musician who immersed himself into the styles of other heroes like Professor Longhair, Dr. John, Allen Toussaint, Tuts Washington and James Booker. 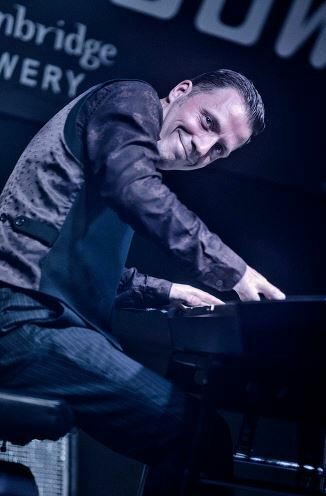 The latter performer became a particular source of inspiration and resulted in Dale studying the sometimes complex technique of this legendary pianist/singer. Although he himself would probably down-play it, Dale has indeed encompassed much of Booker’s music and style in his own playing.